This garden was complete and all the was missing was a way to show movies while swimming in the pool. 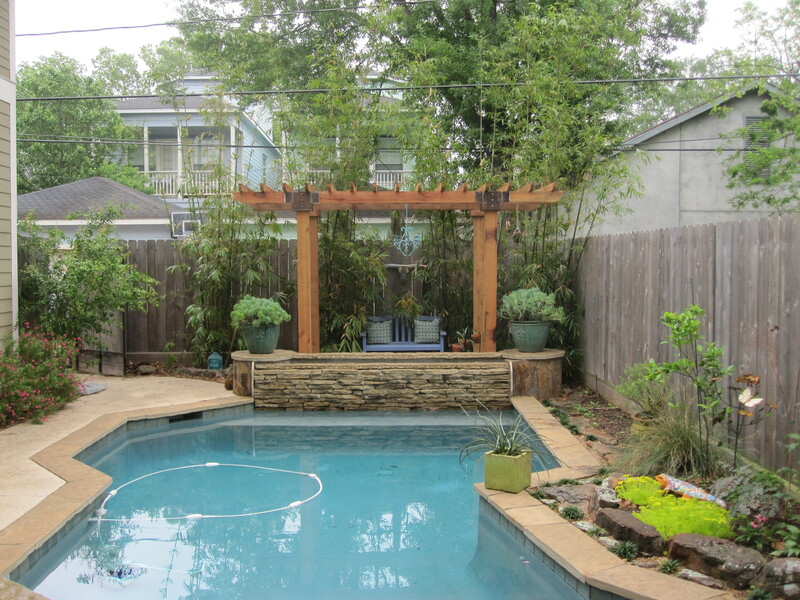 They had a bit of space behind the pool and before the screen of bamboo. I liked the idea of blending it into the lines of the pool and adding an element of height to focus on instead of the houses behind. It is just big enough for a small bench and if they decide to grow a vine on it will provide some shade. We used all cedar for the wood. These are 6×6 and give a strong substantial look. Above the fourth post is about to be set in concrete. Pre-existing concrete slab made setting the posts a challenge. Once the posts were set we were able to install the tie-beams. 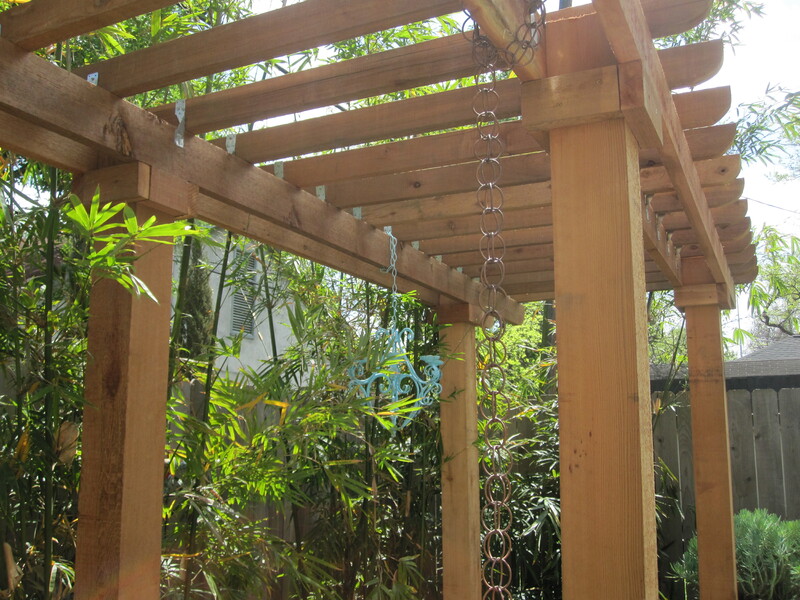 Note the hurricane ties on the joists which reduce horizontal movement/twisting. This is a good precaution here in Houston were we do have hurricanes! 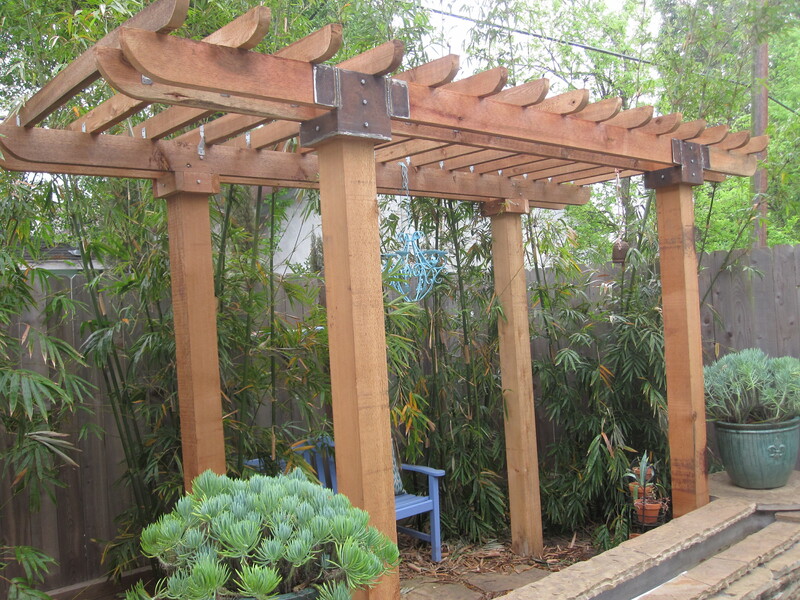 The clients saw a nearby restaurant that had brackets on their pergola and really liked the idea. While we did not need a bracket for structural reasons (ex: to tie two beams in together) we did like the idea of it also. 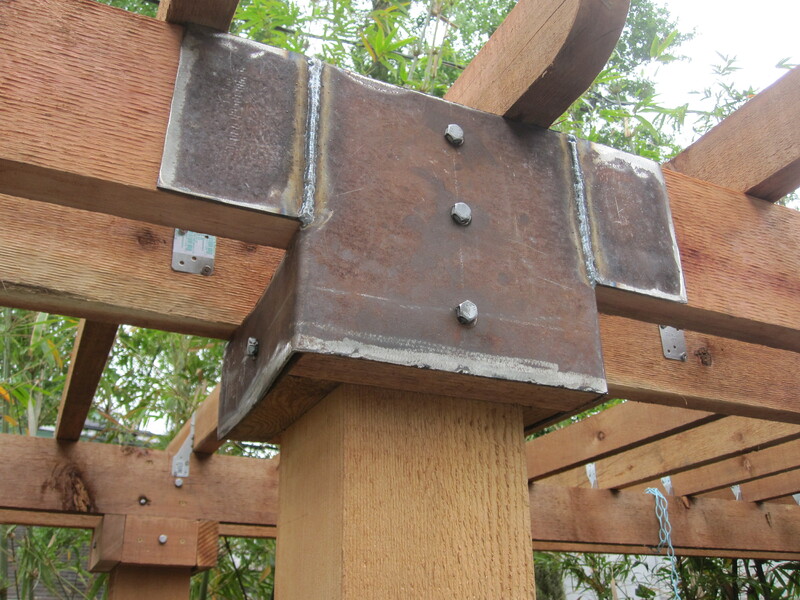 We cut and flattened pipe to create the brackets (and left them rustic/unpainted to complete the look). All ready for the screening of a movie! The man of the house wants to show Jaws! I am aided in Monday’s landscaping post with details from my husband Shawn Michael. That really works to pull the eye away from the houses behind. Great tip.Thanks. The metal detailing looks like little shirts with buttons up the front! 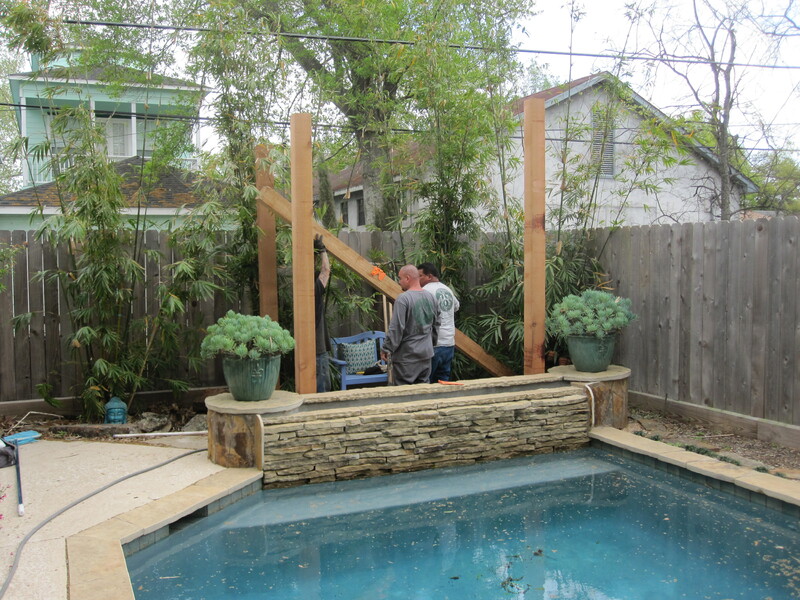 Will the owners hang a movie screen from the pergola? : ) That is what i thought too! Don’t tell Shawn. And yes they plane to hang a move screen from it! How fun is that?